It set out to be an elegant balancing act. 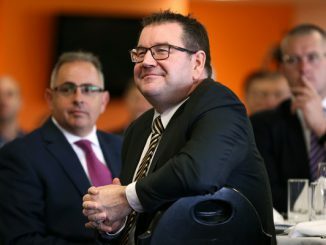 What Finance Minister Grant Robertson had tried to do was to politically future proof the Ardern government from attacks by either the left or the right, while juggling the wishlists of the three political parties involved. No easy feat, all things considered. On the left, the Budget provisions – especially when read in conjunction with the $5.5 billion Families Package, the Winter Energy Payments and so on – have delivered significant financial support to low income earners, and major relief in health, education and housing, and in all respects this is well in excess of what National would have delivered. (The claims in some quarters that this Budget is “National-lite” are absurd.) Along the way, Budget 2018 has been a useful reminder of just how much an engaged government can do with relatively little, to improve public services and help people pay their bills – once those in power cease feeling ideologically obliged to squander the revenue on tax cuts. As for the right… Robertson has managed to bankroll significant improvements to the country’s social infrastructure, while being cautious on spending, and keeping funds in reserve for unforeseen events. The upcoming calls on funds in future will include the nurses and teachers pay rounds, and the outcomes of the review of mental health services, none of which – for obvious reasons – crop up as line items in this particular Budget. Caution has been rampant. Robertson has kept government spending significantly below the cap of 30% of GDP (it will be only 28.5%) while also keeping net debt below (at 19.1%) the government’s self-imposed 20% ceiling. Oh, and he’s also given himself headroom to deal with those known unknowns and unknown unknowns (only some of which are mentioned above) that are coming down the pike. No one yet knows the full costs of our recent bio-security breaches. With all that in mind, Robertson has hiked the operating budget from $2.6 billion in December to $2.8 billion in this Budget, and that’s despite also allowing for a significant $3.8 billion in capital expenditure. Robertson can claim to have delivered lashings of judicious caring on one hand and sober caution on the other – but he’s still left a lot of people feeling short-changed, regardless. Could this man be the re-incarnation of Michael Cullen – who was the dark prince of under-delivering for your own good, in times of plenty. The ultra-careful political positioning has left National floundering for a credible line of attack. Looking ahead, the prospects for economic growth – which has been buoyed by growth in the global economy since 2016, rather than by anything done by the previous government – average out at at 2.9% over five years, and culminate in a $7.3 billion surplus by 2021/22. Meanwhile, unemployment is expected to fall to 4.1% in late 2019. Regardless, Simon Bridges and his team would have us believe that we’re headed for hell in a handbasket and that – somehow – this Budget is (simultaneously) a dreadful example of tax, spend and borrowing gone mad, but also pretty much what National would have done, anyway. Only in his dreams. The more credible criticisms of Robertson are the ones from the left – that in all sorts of ways, the government has been far too cleverly cautious. As Sue Bradford pointed out on RNZ this morning, some $100 million has been allocated for the America’s Cup, but damaging aspects of WINZ culture (like the punishing of families with benefit cuts if the father of a beneficiary child is not named) have been left to roll on, untouched. As Bradford indicated, it would have cost only $25 million to scrap that measure and it would have been hugely important, symbolically. After all…given the levels of social need this government has identified, given our globally unusual low levels of government debt, given the current money-will-never be-cheaper-to-borrow opportunity, and given that the credit ratings agencies would barely blink if the government did expand its borrowing programme …why not go further, faster? In these Budget forecasts, there are surpluses being built up, and these could have been tagged to address social needs more rapidly, and more directly. In sum…at Budget 2018 Robertson has bought the left its initial round of drinks at the bar. On the right, its been more like a first Tinder date. Robertson has the corporate sector’s number and he’s been on his best behaviour in this Budget, to ensure they’ll want to see each other again. Of course, its never going to end well. The business sector will always feel grubby about any fling it has with a Labour government. Given half a chance in 2020, it will go home to National. As the headlines have already indicated, the big ticket Budget items are in health, education and housing. Health has received a $3.2 billion increase in operating budgets (most of it aimed at relieving the pressure on DHB finances) and $850 million (at least) in capital expenditure, presumably to deal with problems at Middlemore and elsewhere. Health funding is particularly prone to spin. Every year, the Key/English government would say it was putting more money into health, without mentioning that the combined effects of inflation, rising health costs and an ageing population were actually pushing the public health sector backwards in real terms – and with a steadily declining share of GDP allocated to public health since 2010, save for election year 2017. As CTU/ASMS research into mental health needs has shown, the levels of need in mental health are well known. Alarmingly, the number of people turning up needing help increased by 50% between 2009 and 2016, while funding increased by only 16%. Given the extent of neglect of mental health by the previous government, the needs likely to be identified later this year by the mental health services review will be costly to fund. In this area (and others) one can see however grudgingly, why Robertson has held some of his ammunition in reserve. Much the same mixed feelings of relief and bitching have greeted the $1.6 billion (over four years) in operations funding for education. Early childhood education will receive $590 million to support the existing needs of 200,000 children, and roll growth in future. Schools will be disappointed at the lower than expected boost ($203.6 million) to their operational funding. Robertson – in his own defence – said at the Budget lock-up that the extra $272.8 million over the next four years for Learning Support (also known as special needs education) should be seen in conjunction – since it should help to avoid the current diversion of operational resources into this previously underfunded area of genuine need. Tertiary institutions however, have been left out in the cold almost entirely by Budget 2018. This year at least, students have been the funding focus (via free tuition fees) while the teaching side of the tertiary equation has received virtually nothing. Finally…it has to be remembered that the initial Budget of a new government is only the first act in what is at least, a three-act drama. On reflection, Robertson may have given business a massive r& d tax deduction, in one of Budget 2018’s prominent examples of corporate welfare. Yet one of Robertson’s more modest aims has been to stave off another “ winter of business discontent” of the sort that plagued the early days of the Clark government. Faint hope. Only a total cave-in on the government’s limited reforms of industrial relations would probably satisfy business that Robertson was truly onside with them. Like the business sector, the apparent losers in Budget 2018 (hello Clare Curran, Ron Mark) will be hoping for more, and for better still to come. Curran’s mooted $38 million funding injection had been earmarked largely for her RNZ+ pet project, but this has not materialized. However, re-assurances have been given that more may be forthcoming after the options have been independently reviewed. Similarly, there is lip service paid in Budget 2018 to the needs outlined in the 2016 Defence White Paper, but only a pittance ($41 million) has been devoted to capital spending. Evidently, the massive $20 billion over 20 year replacement programme envisaged is going to be fought out at Cabinet level as the business plan for each hugely expensive chunk of Defence gear arrives for approval, item by item. Again, Robertson has had to keep some of his powder dry, for the time when those eye-watering Defence invoices begin to cross his desk. In conclusion, one of the other costs threatening this government’s tidy budgeting plans is the future price of oil. During its nine years in government, National was blessed with the lucky combo of low oil prices and a high exchange rate, which took the political heat entirely out of the cost of petrol at the pump. Now, the coalition government faces the reverse; rising oil prices, and a sinking exchange rate, over the next year or so at least. So…what oil price is Treasury expecting over its forecast period? This morning, West Texas Intermediate sweet crude (WTI) is sitting at $US71.56 a barrel and climbing, with only about a $7 gap now between WTI and Brent Crude, which is headed skywards into the $80-100 zone. Once US sanctions are re-imposed on Iran –which resumed its oil exports in 2016 on the back of the nuclear arms deal – the price of oil will almost certainly tighten further, regardless of the US oil shale production that will go only some way towards countering the upwards trend. Yet under “ Key economic judgments and forecasts “ at page 7 of the Budget Economic and Fiscal Update 2018 document, we find this assumption: “West Texas Intermediate (WTI) oil prices (will) fall from $US62.9 barrel in the March 2018 quarter to $US60 by mid 2018 and remain stable thereafter.” This cheery outlook is not one that many would share. Given New Zealand’s incredibly insular political climate, the rising price of petrol is likely to be blamed on the tax policies of our politicians, and not on events offshore. Hey, just another thing to keep Grant Robertson awake at nights. When we finally got it figured out, we had truly missed the boat….